Nearly all of the Animamates were cool kinda gals. There is a picture of each in the gallery, and here is a little description of each. She's slightly cuter in the anime, but Iron Mouse is still a real cutie. She loves pinstripes and was the first Animamate to appear. Galaxia ended up killing her because she failed too often (?). I am a little biased against her (she killed Crow-sama! ), but she is generally disliked by most. She has a kitty fuku with lots of bells, and is actually sort of cute in the manga when she first appears. Papillon=butterfly. This very cool Animamate appears only in the manga--and only for one act. She turned the spirits she stole crystals from into butterflies. These two are odd looking servants of Galaxia. 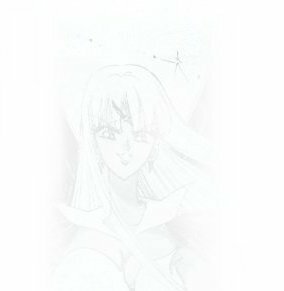 They appear all the way throughout stars (manga only) as Galaxia's helpers. They kill Sailor Lethe and Mnemosyne, and Kakyuu-Hime. These two beautiful sailors were servants of Galaxia. Lethe guarded the river of oblivion (loss of memory) while Mnemosyne guarded the river of memory. Sailor Lethe almost killed Sailormoon but Mnemosyne stopped her. They died with delicate fingers just barely touching as Chi and Phi (grr!) killed them.